Amjad Khan, the name spells terror as he immortalized the deadly dacoit Gabbar Singh in SHOLAY. Later Amjad Khan played many deadly villainous roles like the brutal kidnapper Raj Singh in INKAAR, the Mumbai goon Dilawar Khan in MUQADDAR KA SIKANDAR, the smuggler Suleiman Seth in RAM BALRAM etc. However if on one side Amjad Khan could send terror down the spine he had the amazing talent to generate laughter as seen in movies like LOVE STORY, QURBANI, MAA KASAM, CHAMELI KI SHAAD etc. 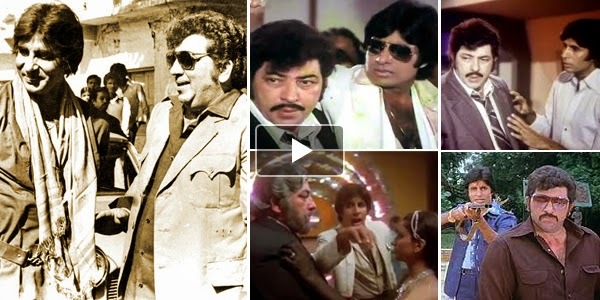 12 November marks the birthday of the legendary actor Amjad Khan, Raaga.Com remembers him and shares his humane side as narrated by Amiatbh Bachchan.